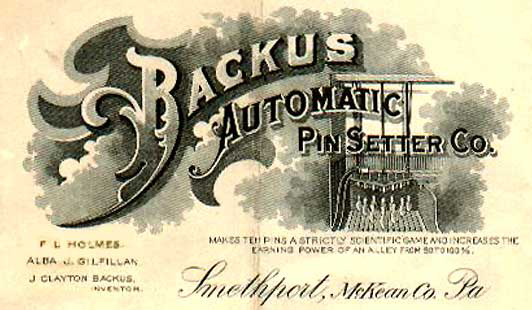 1906: Formation of Backus Automatic Pin Setter Co.
Backus Automatic Pin Setter Co. 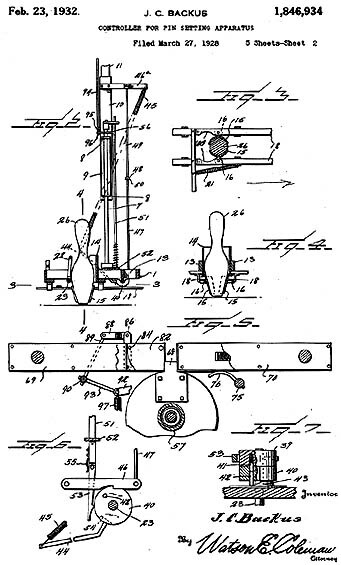 EARNING POWER OF AN ALLEY FROM 50% TO 100%"
On March 13, 1906 J. Clayton Backus of Smethport patented a machine that he invented for bowling alleys. 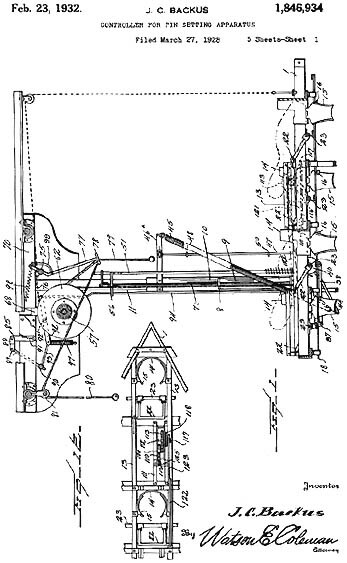 The machine that he invented was an automatic pinsetter and spotter for persons working in bowling alleys. 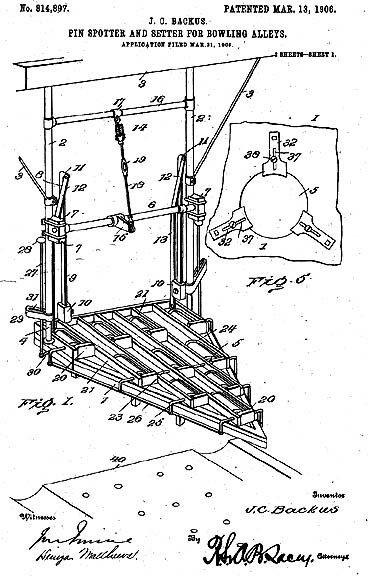 This aparratus used a series of different weights and levers to make the user's job much easier. 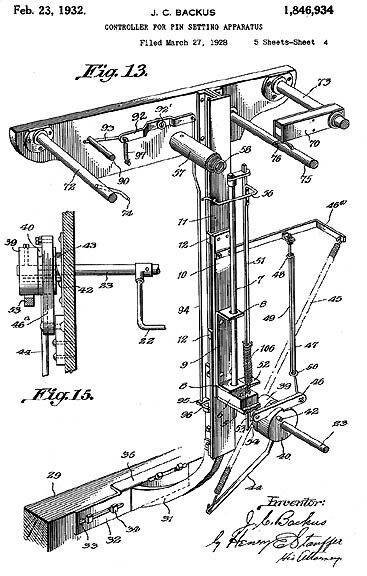 The pinsetter was used by simply placing the pins down below the pinsetter and turning a crank. 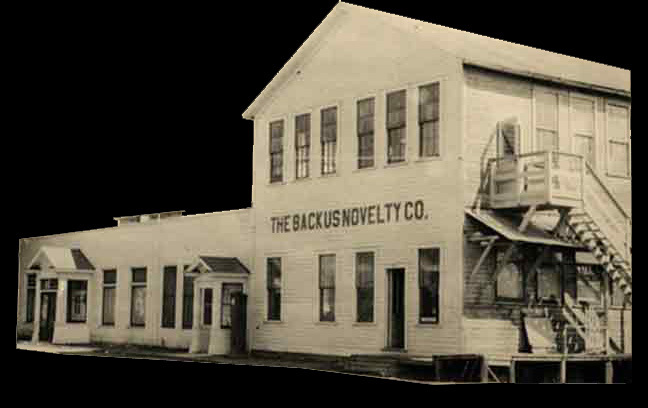 He teamed up with Holmes and Gilfillan to become one of the leading producers of pinsetters in his time. 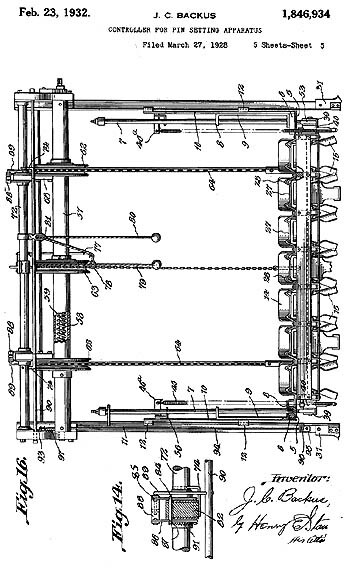 His patent was used until 1939 when Bernard Ball invented the Spot-O-Matic pinsetting machine. 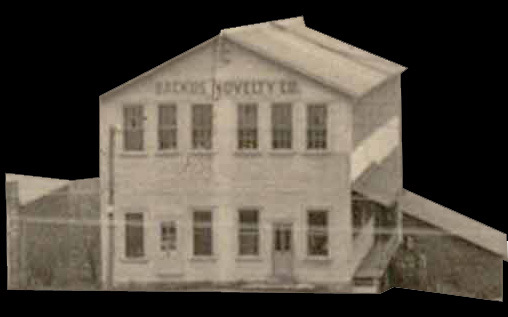 a part of Backus Co. 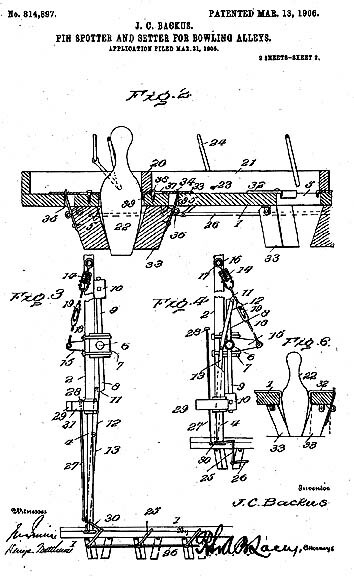 In 1932 Mr. Backus patented his new controller for the pinsetter apparatus. 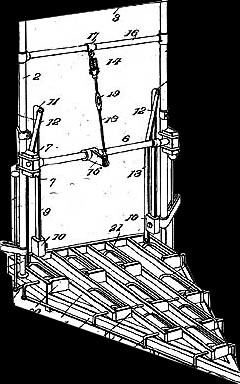 The controller made the pins easier to set down on the wood of the alley. 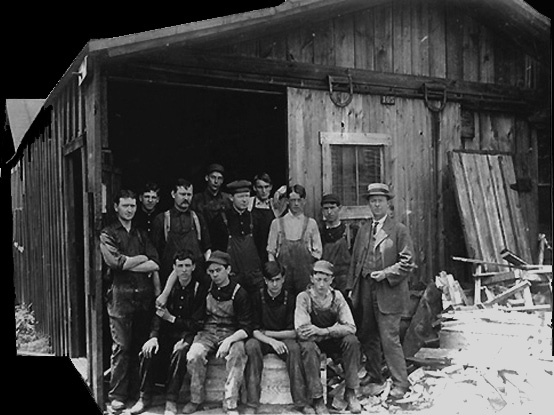 Setting pins on the alley was also alot less noisy.